I was in my local library looking for a permaculture book. I never expect to find much in my local library, it is a tiny single room and most of it is taken up with fiction. I usually head straight for the corner with all the chicken and cow books. 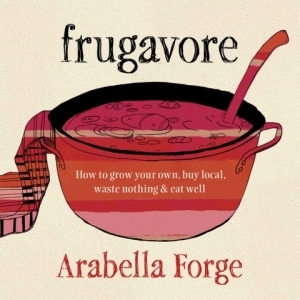 They didn't have the permaculture book (requested on inter-library loan instead), but I was very surprised to find Frugavore: How to Grow Organic, Buy Local, Waste Nothing, and Eat Well , by Arabella Forge instead. I had seen reviews of Frugavore when it was published in 2010, and I kept thinking about buying it, but I have so many books already, I'd never got around to it. I suppose that's the point of libraries, you can borrow before you buy! And its great when even a small library occasionally has something interesting to read. I took Frugavore home and read the whole thing in three hours. Which is not to say that its short, but most of it is recipes, so I was able to skim through and just read the interesting bits at the start of each chapter. It is, however, a reflection of how much I enjoyed the book. I did have other things that I should have been doing, but I just wanted to keep reading. I could see that Arabella and I had much in common in our approach to food and cooking. Arabella suggests that "...if you want to eat and live frugally, buy the best quality produce possible and make the most of it". I totally agree. For some reason I kept comparing Frugavore to Nourishing Traditions. They are quite similar in the way they both recommend a "peasant diet", and offer recipes as well as plenty of commentary. I found that Frugavore was far more practical than NT. I know a lot of people give up on NT because the recipes seem so complicated and the ingredients somewhat obscure. 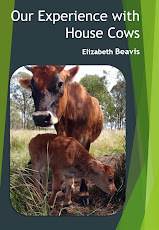 While NT starts with raw milk, which many people cannot access, Frugavore starts with a chapter on sourcing your food, which has some excellent suggestions for those in the city that find it difficult to get fresh produce. 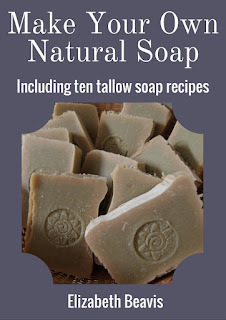 Followed by a chapter on natural (and frugal) cleaning products, after all, it makes sense that if you are avoiding chemicals in your food, you should avoid them in your kitchen too. I love that the chapter on vegetables starts with a brief explanation of how to start a garden cheaply, rather than just assuming that you must buy all your veges. And then into the meat chapters, which explain how to use ALL the animal, from how to joint the chicken, how to use organ meat and how to use the bones to make stock. I want to try the liver pate recipe and the steak and kidney pie. Where NT is all about WHAT to eat it, Frugavore has more detail about HOW to prepare it and how to make the most of what you have. The book even includes a recipe for real fermented saurkraut and kefir, but towards the end so you don't freak out too much! The only thing that I thought was missing was sprouts, which are a great way of growing something green even if your garden is a disaster (or non-existent) and can be added to every meal. It was gratifying to see that Arabella was able to shake off her nutritionist training and explain the importance of butter, olive oil and coconut oil in her chapter on fats. I just reserved it on inter-library loan - I leave that tab open and it is sooo convenient. Love it! I've heard of this book. Thanks for the review. I'll have to get hold of a copy. I have to say, this is my favourite fugal living cookbook too. I got a review copy a while ago and was going to do a giveaway, but I liked it too much and kept it :) You've inspired me to go back and re-read some of it though. Green onions, spring onions or shallots or…? The truth about legumes and nitrogen fixation? Managing pasture - is burning necessary?